Acronis and Thursby Software Systems have partnered to bring the Acronis Files Advanced secure Mobile Content Management + Editing solution to the Thursby Software Systems “CAC/PIV Smart Card authentication” platform on Apple iOS for iPad and iPhone. This allows Acronis Files Advanced for iOS to meet the needs of US DoD, Federal, State and Local governments and corporate iPhone and iPad users for simple and straightforward two-factor authenticated CAC, PIV, PIV-I and CIV smart card access to files. Acronis Files Advanced MCM + Editing empowers employees who choose iPhones & iPads with secure, managed access to documents stored on enterprise storage including file servers, NAS such as NetApp, EMC or Isilon, and SharePoint sites with built-in editing for Microsoft Office files including Microsoft Word, Excel and PowerPoint. Acronis Files Advanced supports the common use of searching for a document on a server, opening and editing that document and saving the edited version back to the server, all from an iPhone or iPad. 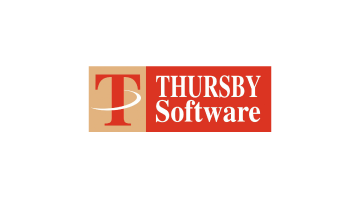 The Secure CAC/PIV technology is licensed from Thursby Software, Inc. The smart card technology is the same code used by the Pentagon, Army, Navy, White House, NIH and SEC across tens of thousands of Mac users since the mid 2000s.